With ANDe, you have much more control over filtration and water pressure/flow. 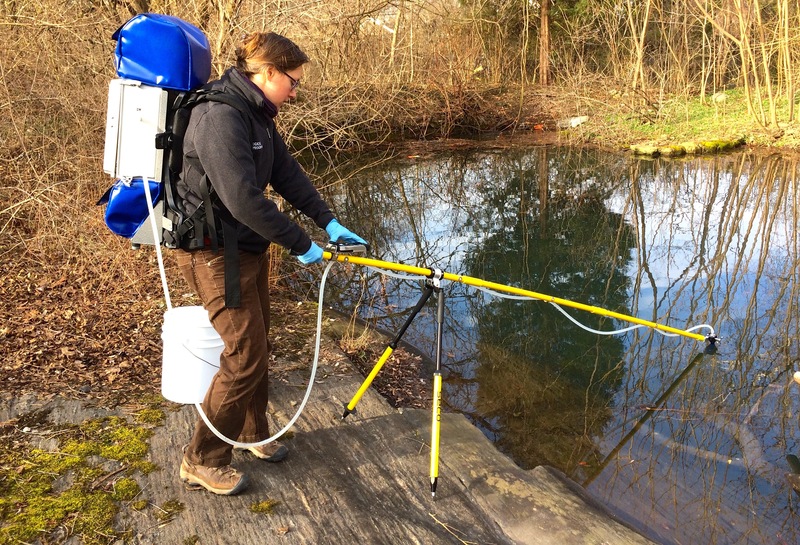 The ANDe system has several advantages over traditional hand-pumping for eDNA capture. Its pumping mechanism gives you a high degree of control in water filtration and the ability to monitor the volume of water filtered while collecting a sample. This control (pressure, flow rate) becomes even more important when dealing with high sediment water samples. We’ve found the ANDe system cuts the filtration time down significantly when compared to traditional hand pumping. Even more time is saved by not having to clean out the filtration device between each sample. 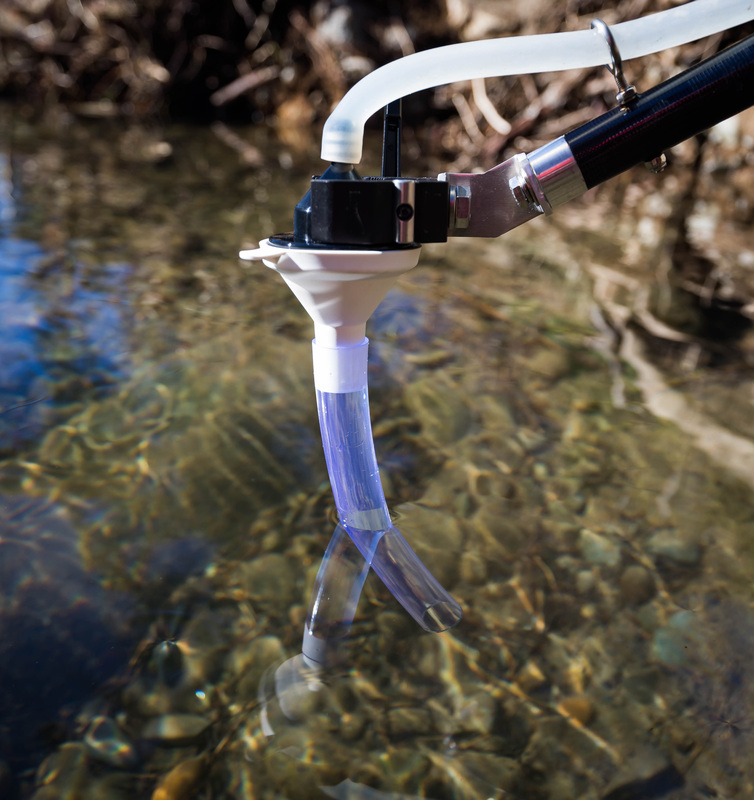 The extendable pole and single-use cartridges also reduce the potential for cross-contamination as samples are collected from different water sources. All of these features reduce the amount of time involved with collecting samples, and allow us to perform the filtration at the point of collection instead of transporting samples back to the lab for filtration. We also like the flexibility in choosing the pore size for the single use cartridges to meet our research goals. How Can YOU Use the ANDe System? This type of technology can be used as a conservation tool to search for rare and endangered species in the natural ecosystem. In our research, we are employing it to search for endangered turtles and to collect information about where endangered individuals exist and to identify new habitats. The ANDe system will be a useful tool for monitoring reintroduction programs, detecting invasive species, augmentation of traditional biodiversity surveys, and environmental monitoring of pathogens of conservation concern. It can also be used to help inform environmental impact assessments and to monitor for species that are trafficked through the illegal wildlife trade. We plan to integrate this technology into other conservation applications as we develop more field-friendly kits for wildlife species and pathogen detection. To find out more about the ANDe System, read our Methods in Ecology and Evolution article ‘ANDe™: A fully integrated environmental DNA sampling system’. This entry was posted in Field Methods, Methods papers and tagged ANDe, biodiversity, conservation, DNA, eDNA, Endangered Species, Endangered Species Day, Environmental DNA, quantitative Polymerase Chain Reaction, Species Detection, Wildlife Monitoring by Chris Grieves. Bookmark the permalink.